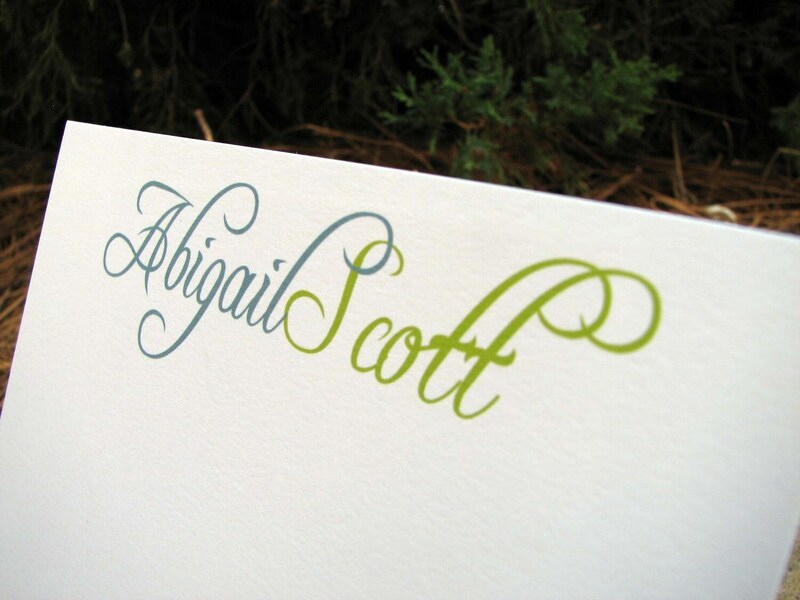 *Set of 12 flat cards printed with a beautiful script font in deep aqua and lime green. Any name will be perfect printed on this card! *A matching return address can be printed on the back flap of the envelope for an additional $.25 each. Add this upgrade under "Printed Envelopes" in my shop sections.